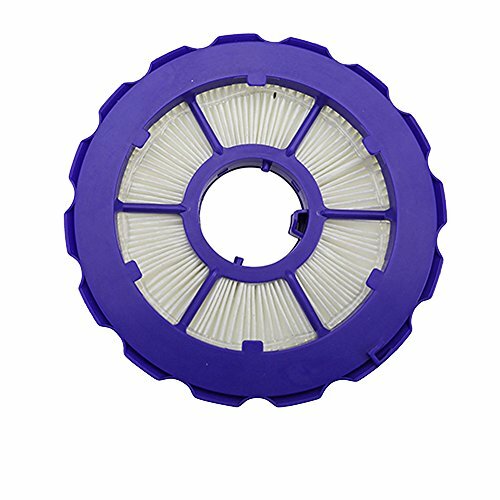 HEPA POST-MOTOR FILTER REPLACES DYSON PART number # 920769-01 FITS DYSON DC 50 Series VACUUMS,including Dyson DC50 Animal, DC50 Animal Complete, DC50 Animal ERP, DC50 Animal Limited Edition, DC50 i, DC50 i ERP, DC50 Multi Floor, DC50 Multi Floor. These Dyson filters are sure to to get your Dyson vacuum back to feeling like new. If you're an allergy sufferer, replacing your filters for everything in your house is a necessity and your vacuum is no different! This are sure to help keep your home's air clean AND help improve your vacuuming. Please NOTE that this is not a original Dyson product and is not covered under any Dyson manufacturer's warranty. The Dyson brand names and logos are the registered trademarks of their respective owners. Any use of the Dyson brand name or model designation for this product is made solely for purposes of demonstrating compatibility. The post motor hepa filter replacement is compatible with all Dyson DC50 series Vacuums,including Dyson DC50 Animal, DC50 Animal Complete, DC50 Animal ERP, DC50 Animal Limited Edition, DC50 i, DC50 i ERP, DC50 Multi Floor. Get back to having a clean air to breathe again. Replacing your filter will help clean your air purifier's air and allow for a healthier lifestyle! This filter helps keep our household dust, pollen and mold spores. Simply remove your old filter and put this brand new one in it's place! Compare to Dyson Part Number # 920769-01. To remove and wash the Post filter, take off the glamor cap on the ball, and remove the screw. The filter will be located directly inside and can be easily taken out for washing. If you have any questions about this product by Amyehouse, contact us by completing and submitting the form below. If you are looking for a specif part number, please include it with your message.